Grind the ingredients of the masala to a fine paste. 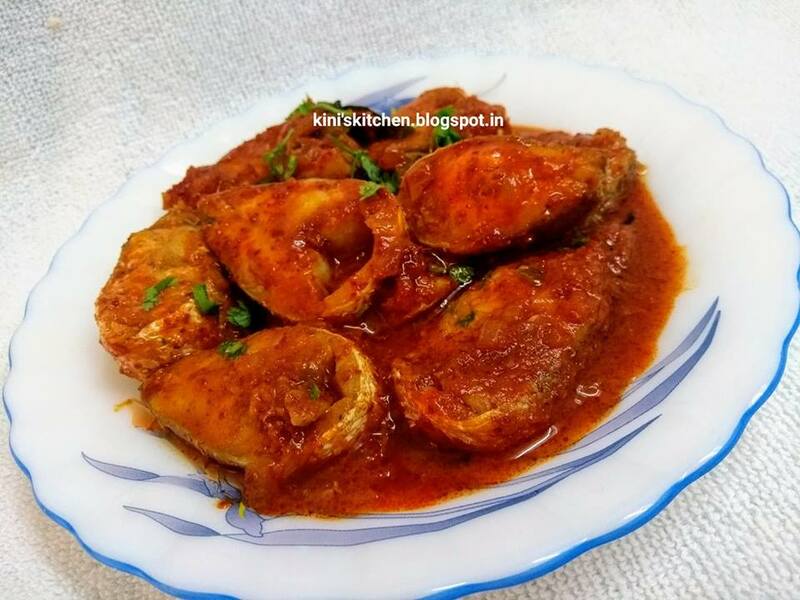 Marinate the cleaned fish with 1 tsp masala for 1/2 hour. In a pan heat 7 tsp of oil , Saute chopped onions and curry leaves. Now add the remaining Masala and fry for 8-10 mins. Add 1/4 cup of water and the marinated fish. Keep the pan covered till the fish is cooked . NOTE: It tastes better if coconut oil is used instead of refined oil. You can also use Lady fish or Pompfret for the same recipe.